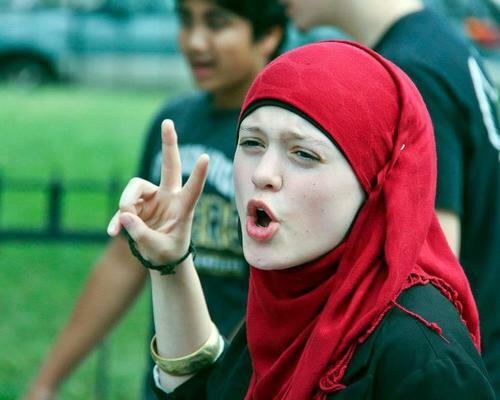 Amal Kassir is a 20 year old Syrian-American spoken word artist. Born and raised most her life in Denver, CO, she came from a dinner table of tabouleh and meat loaf, Arab father and American mother, best meals of both worlds. A University student, Amal is designing her own major, combining child psychology, writing and education to develop curricula for Refugee children with trauma, with a minor in Human Development and Family Relations. She has performed in 8 countries and over 30 cities, in refugee camps and youth detention centers, in hotel banquet rooms and high school classrooms. She does workshops with people of all backgrounds and her vision is empowerment in marginalized youth by utilizing writing as a tool of self-determination. She runs a project called More than Metaphors that focuses on the education initiative for displaced Syrian children, but uses the grass roots to bring communities together for all conversations. When she is not studying or spitting on microphone, she is waitressing at her family’s Syrian restaurant. keep up the good work sis ! When I saw your Tedx talk,I thought that there are many people who care to live in peace. I hope you will do this meaningful job. Thanks to you,the world will become better.Please, do not give up to do this. Thank you for everyone who wants to be happy. Regards. My sister, we are all with you no matter what religious we have or what color etc.! mashallah from me and my friends from Iran to you . Dear Amal ,I don’t know if you ever read this!!! But i really want u to know u inspired me a lot…. Keep up the good work and never ever give up…. Thank you for your speech at Tedx… It was amazing to see a girl who has this kind of power in her voice and smile…. My dear daughter keep up the good work. I heard you onTed Talk and now following you. I showed your site to my doctor friends and family members. May God Bless you and we all stand by your side. Keep up the good job! You’ll be the good role model for Muslim youths. The way how you talk it remains me with myself i used to write poems and say them in differnt topics than urs but not famous as you…then i had to stop for family issues..
Salam my readers and especially my sister in Islam Ammal and family . I hope this finds you all well Amin. I have forwarded your show re my name the elephant in the room scenario. Amazing and I make dua you continue as you are a person with great conscious. Thank you Ammal in building a bridge of peace and educating the world. May you be rewarded and together the world CAN live as one. MashaAllah. American born Palestinian Sharing the struggle. May Allah bless you on your path to spreading peace. Many people are with you, keep up the great work. thank you for trying to make the world a better place ,such beauty ,power & meaningful message should only be together to make change and inspire people like me . Your work touches my heart. You are brilliant. I am a member of a committee sponsoring two beautiful Syrian families in suburban Philadelphia. How can I contact you directly with a request? Keep up the excellent work and together as one we can make a difference for the better. The elephant in the room is always noticed for its resounding beauty and love of Godsbeautiful world which we are caretakers for as in the true belief of the Native American Indians and other indigenous people. Continue to be humannkind . Amazing!! Its great to see someone standing for syrians. I truly appreciate your work may allah give you success. I am a Hebrew. Descendant of the same father as Mohammed. I met by chance out in public with a Muslim, Iraq family. I talked to the father about how terrible it was about the kiliings in the Middle East. The father kepted talking about the wrongs of the Israelites. I told him that the Israelites are not perfect but let’s talk about stopping the killing of the Muslims by Musilims in Iraq, Syria etc. He didnt want to talk about that. I offered, why dont we go to Iraq and try to stop the killing and he said there was nothing that could be done. I then said let us try to start wtih peace between the Israelites and the Arabs and said let us have dinner togehter. He said he would not invite me to his home as I was a stranger. I stood up and raised my hands to search me and said I have no weapons. Let us share a meal together I said but he wouldnt. I said how can the Israelites feel safe with the Arabs when the Arabs kill thier own? He and his family then got up to leave. He put his hand out to shake my hand but I did not extend my hand to shake. I instead put my arms and we hugged. Peace. It is hard if we can’t even share a meal together. Hello Amal, I saw you in Tedx (Contratulations <3) and now I'm so inspirated. You are a wonderful person, a very powerful, brilliant and iluminated woman. The world need more people like you, it certainly is a best place with your job. Very prolific, courageous and prominent… May Allah give you more strength and knowledge to carry on your emancipators work.